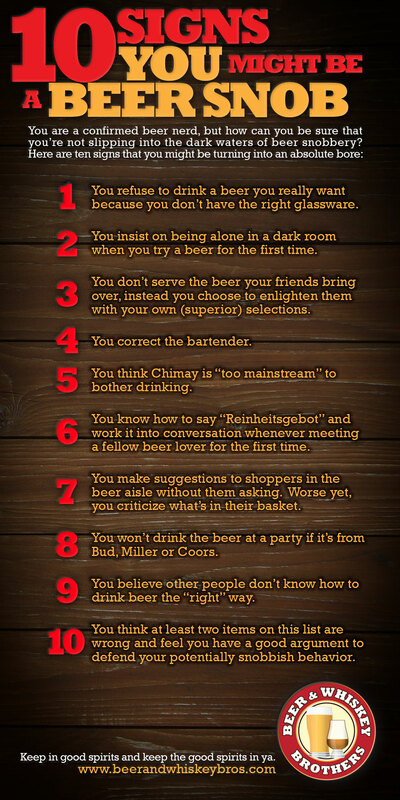 Here are 10 indications that your love of good beer might be crossing the line into beer snobbery. I think I’m guilty of a couple of these myself. Did I miss any? As always, please share below! You might be a beer snob if you have a beer at Mekong Restaurant and give the waitress a hard time because it was served in the wrong glassware.